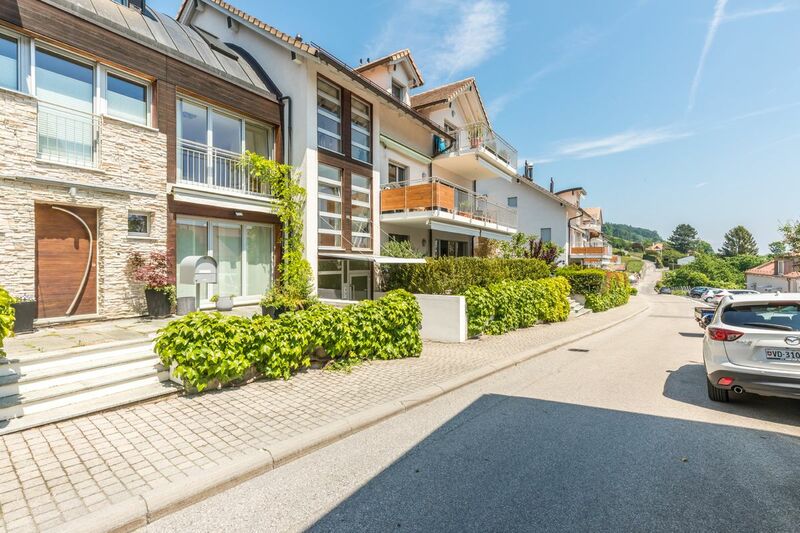 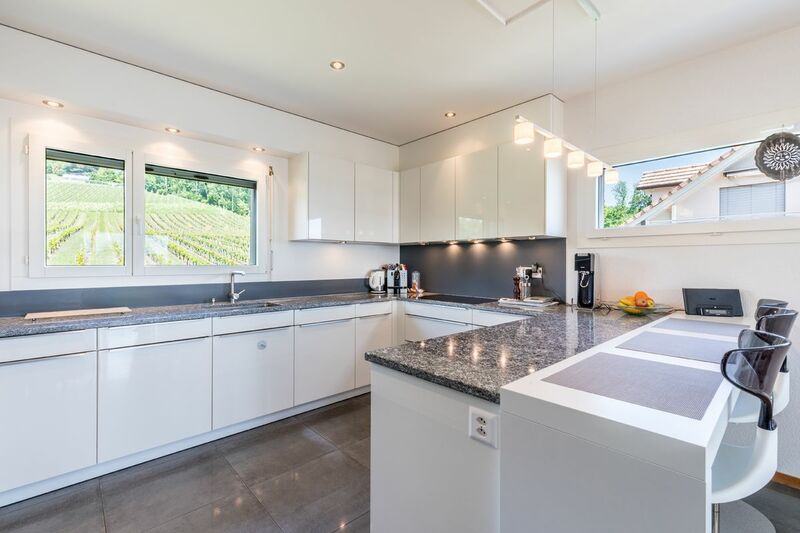 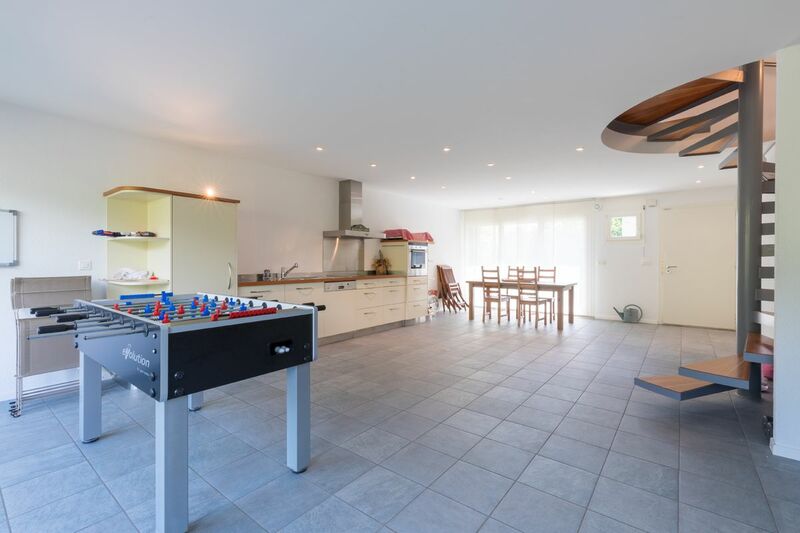 Located between Geneva and Lausanne, this apartment is set against an idyllic backdrop of Lake Geneva, the Jura and the Alps in the charming residential municipality of Begnins. 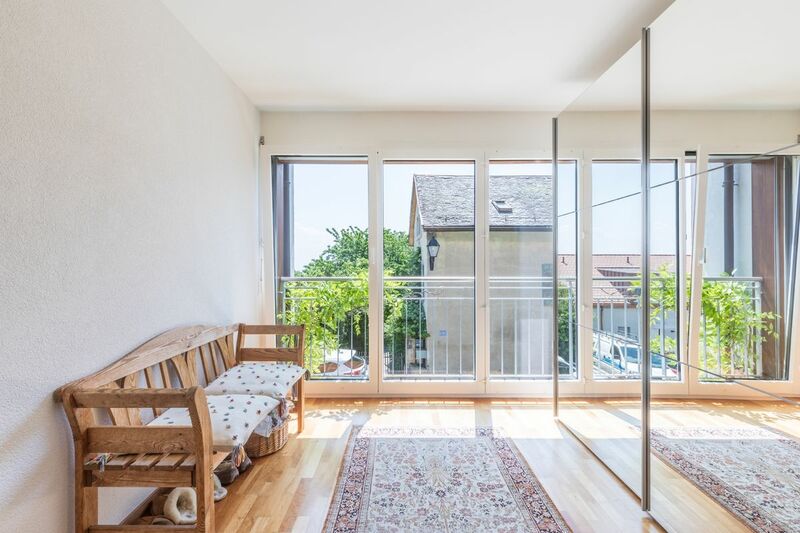 Its aspect offers plenty of natural light while its location ensures complete privacy. 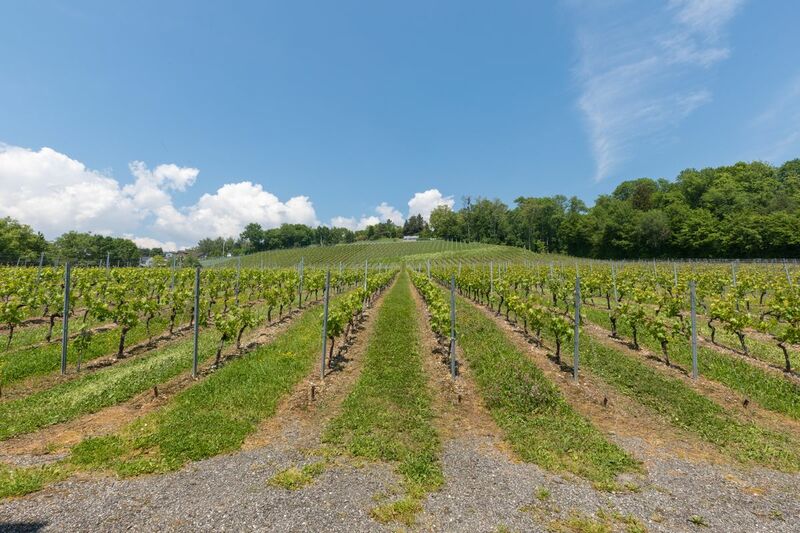 Well known for its vineyards, the municipality has opted for moderate growth in order to safeguard residents’ quality of life and the unspoiled landscape. 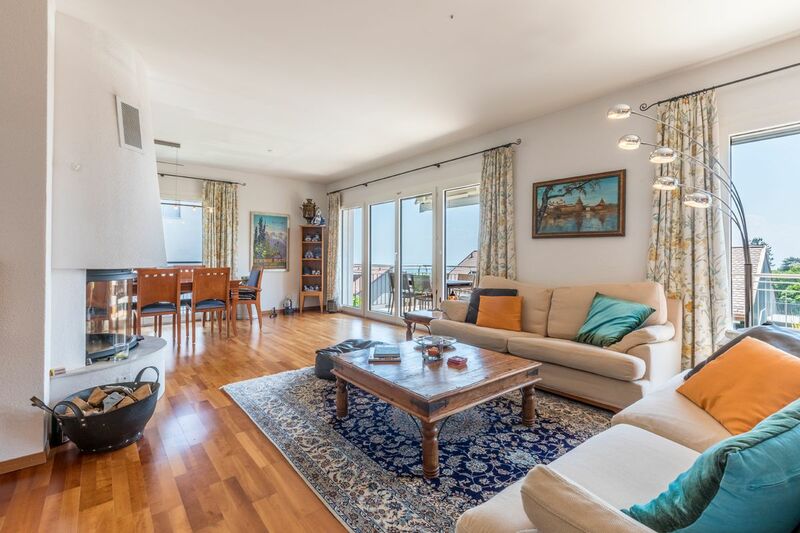 This huge 10 room apartment offers a floor area of 354 m² with two sun-drenched balconies and a terrace. 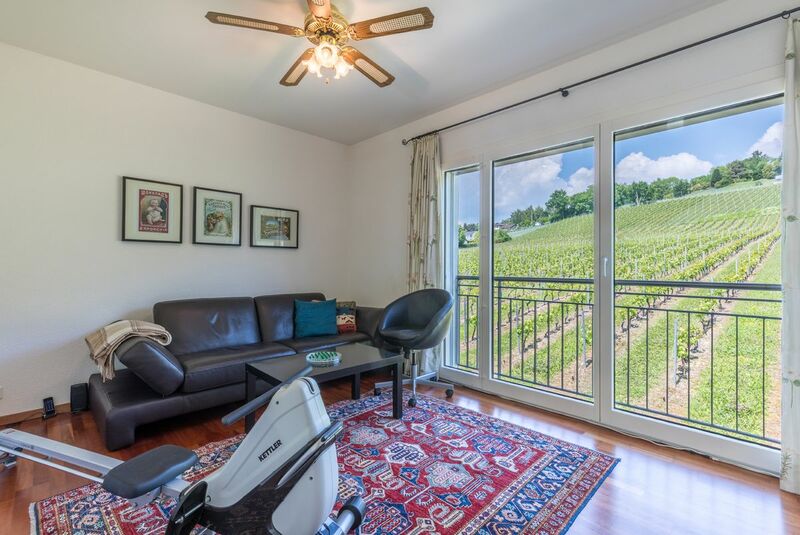 A commanding and exclusive location with unobstructed views over the lake and vineyards further adds to the property’s appeal. 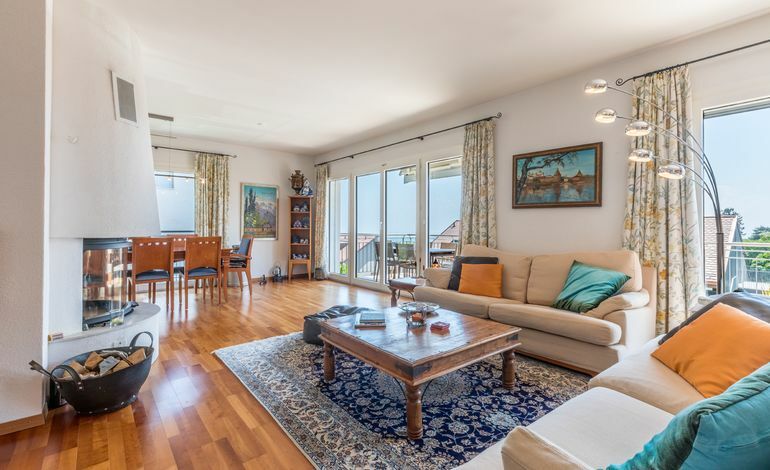 Split over three floors, this dual-aspect apartment offers a stunning open-plan kitchen fully equipped with quality Siemens appliances, a very large and bright living room with a balcony and fireplace, six bedrooms, six bathrooms, a large games room and a home cinema. 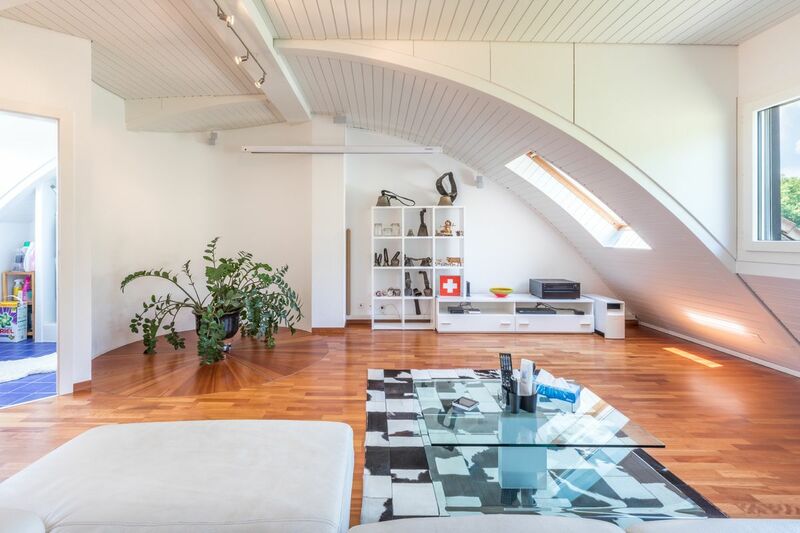 Four indoor parking spaces and three cellars, including a wine cellar, complete the property. 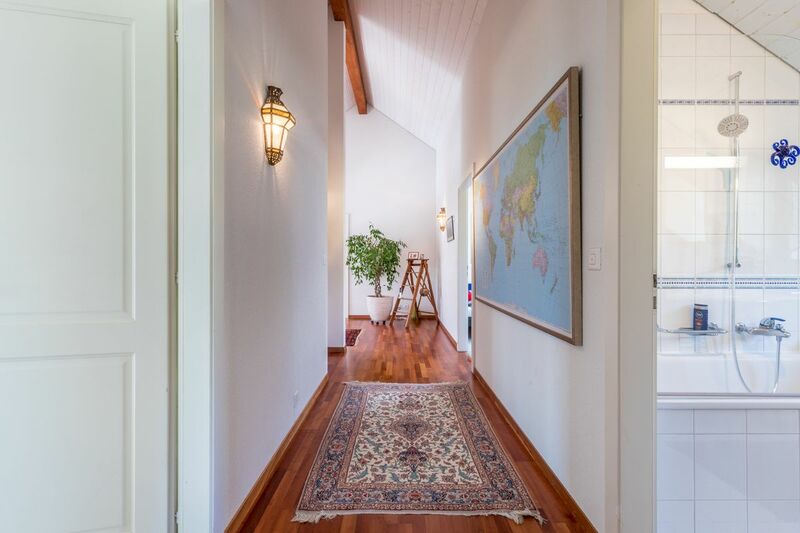 Book a viewing now to discover its cosy ambiance and idyllic location!